A Spielberg film is always an event. For the public (more than 10 million entries in the United States for the first weekend) and also for the few celebrities invited to the first showing. The presentation of Jurassic Park - a film about prehistory and dinosaurs - in London (in the rain! 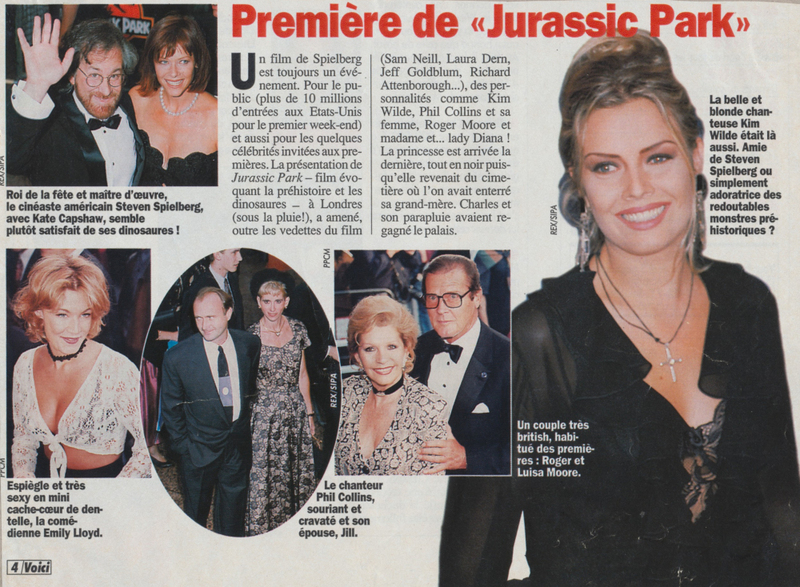 ), brought, in addition to the stars of the film (Sam Neill, Laura Dern, Jeff Goldblum, Richard Attenborough ...), personalities like Kim Wilde, Phil Collins and his wife, Roger Moore and madam and ... lady Diana! The princess arrived last, all in black since she was returning from the cemetery where her grandmother had been buried. Charles and his umbrella had returned to the palace.